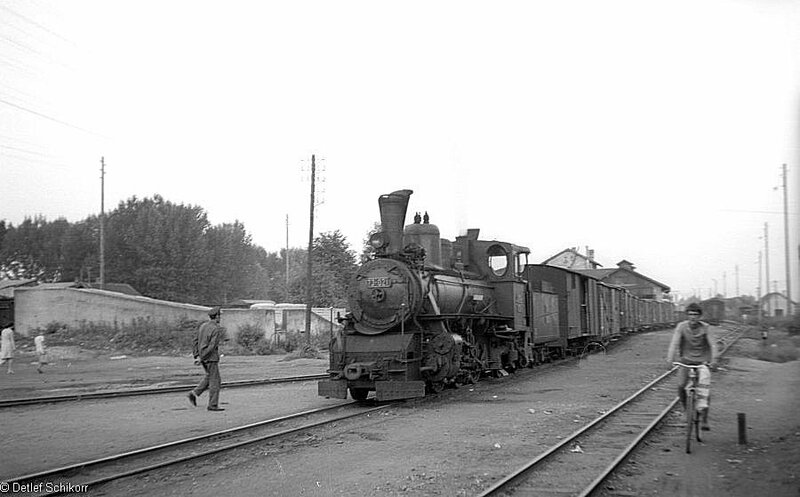 Detlef made two visits to the Steinbeis line in July and August 1970. 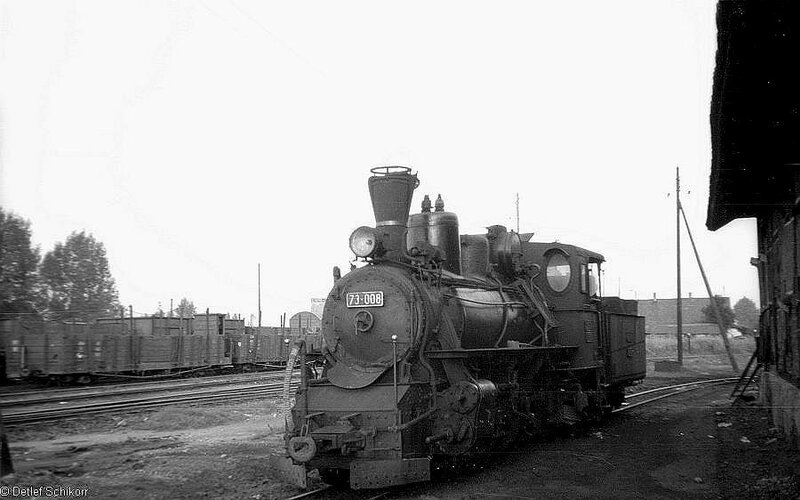 These photos are a record of that trip starting at the northern end of the line at Prijedor. 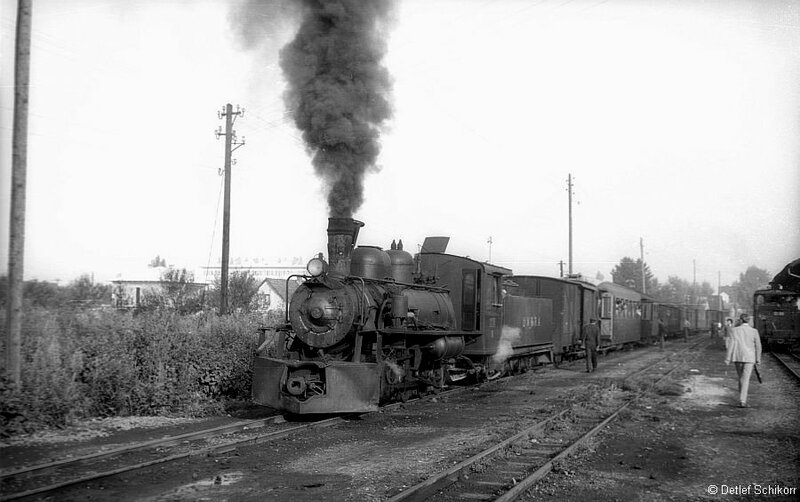 Prijedor had an extensive narrow gauge yard and was the main interchange point with the standard gauge line from Zabreb and Belgrade to Sarajevo. 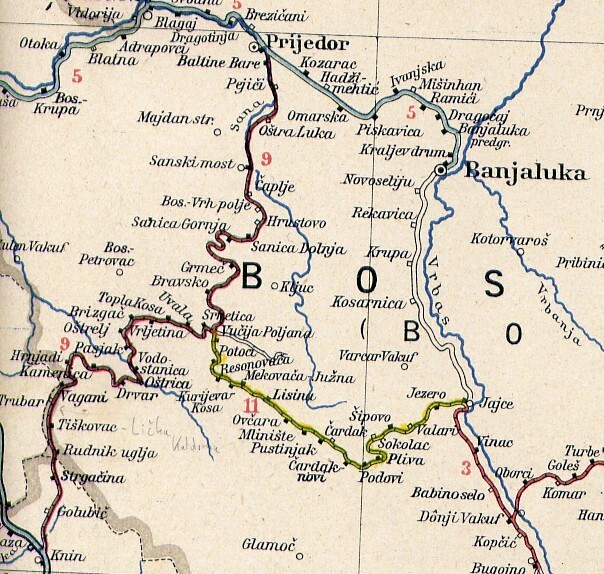 Other locations which feature are Ostrelj, Drvar and Jajce. 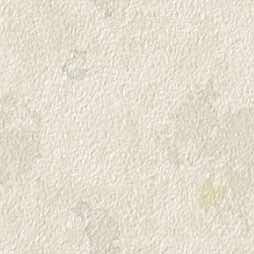 The map above is from 1926 and does not show the later standard gauge lines. 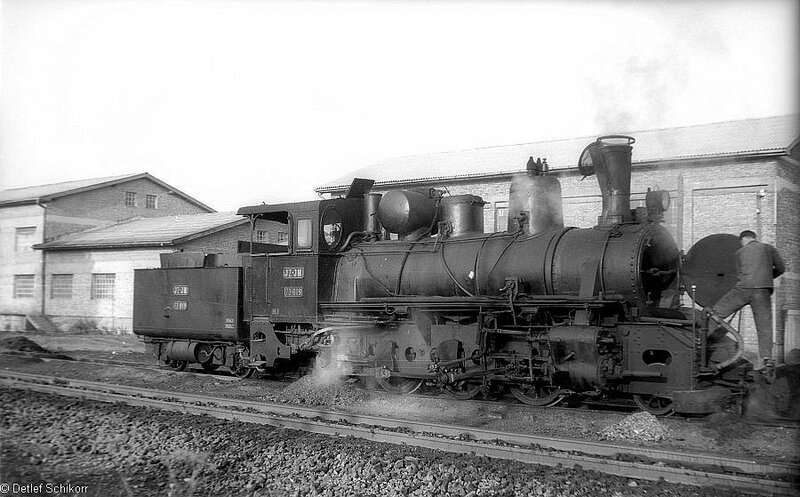 The handsome Class 73 2-6-2 locos were extensively used on the northern part of the line. 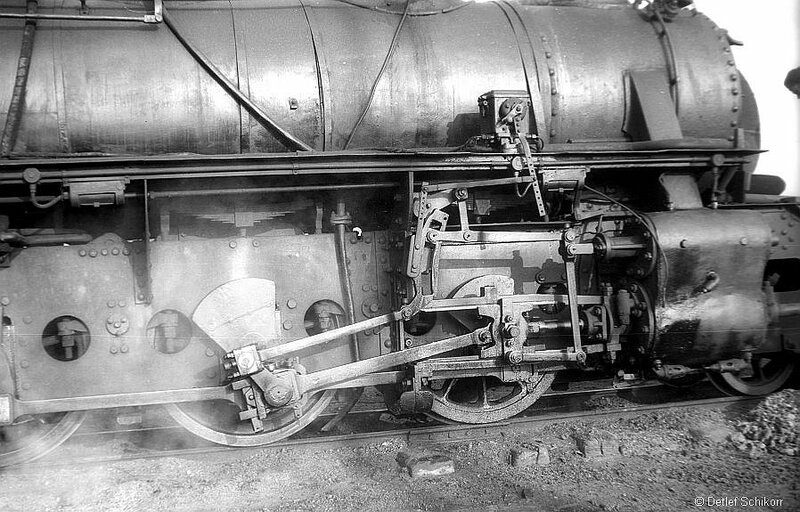 Above are four views of JZ 73-019 (Budapest 3287/1913) at Prijedor. 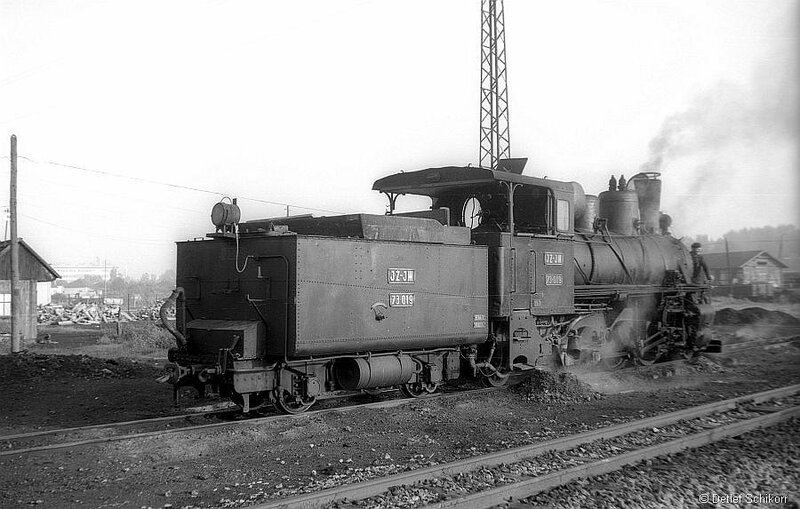 73-021 (Budapest 3289/1913) leaving Prijedor with a long goods train. 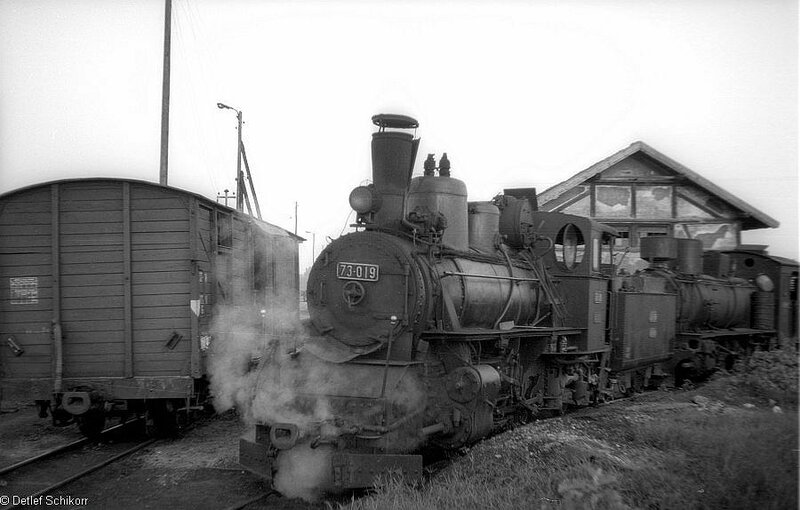 UNRRA 0-8-0 18 (H.K.Porter 8065/1945) leaving Prijedor on a mixed train. 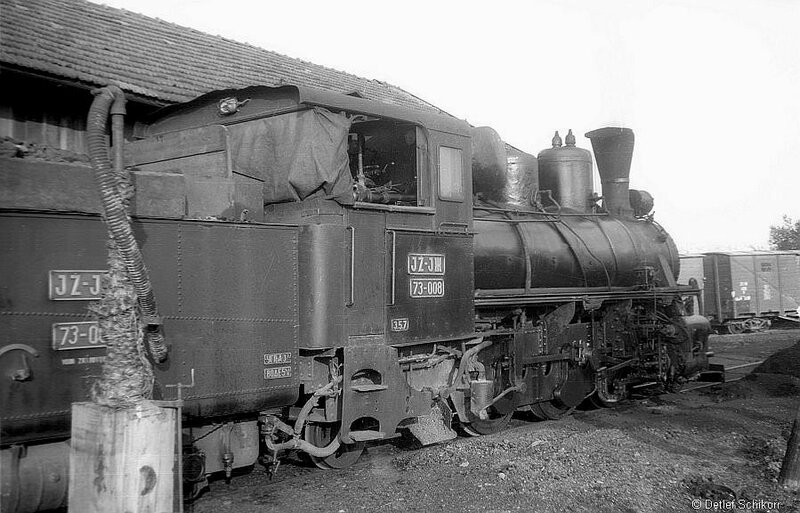 The entire class of 34 of these locos were allocated to Steinbeis workings.